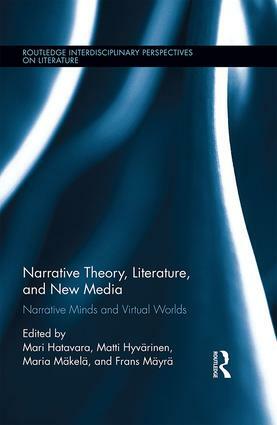 Offering an interdisciplinary approach to narrative, this bookinvestigates storyworlds and minds in narratives across media, from literature to digital games and reality TV, from online sadomasochism to oral history databases, and from horror to hallucinations. It addresses two core questions of contemporary narrative theory, inspired by recent cognitive-scientific developments: what kind of a construction is a storyworld, and what kind of mental functioning can be embedded in it? Minds and worlds become essential facets of making sense and interpreting narratives as the book asks how story-internal minds relate to the mind external to the storyworld, that is, the mind processing the story. With essays from social scientists, literary scholars, linguists, and scholars from interactive media studies answering these topical questions, the collection brings diverse disciplines into dialogue, providing new openings for genuinely transdisciplinary narrative theory. The wide-ranging selection of materials analyzed in the book promotes knowledge on the latest forms of cultural and social meaning-making through narrative, necessary for navigating the contemporary, mediatized cultural landscape. The combination of theoretical reflection and empirical analysis makes this book an invaluable resource for scholars and advanced students in fields including literary studies, social sciences, art, media, and communication.